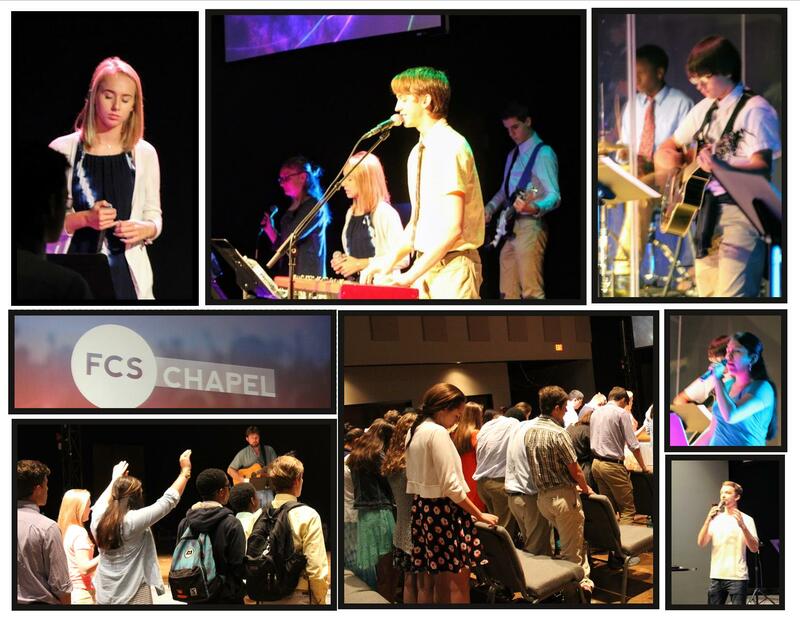 Chapel is an integral part of Faith Christian School's function and purpose. Students attend a weekly Chapel service where they learn about worship and God’s love thru Bible stories, Bible verses, prayer, and songs. In addition to regular Bible classes elementary students participate in chapel once a week. During chapel, students have the opportunity to pray, worship, and hear Bible stories and object lessons. The atmosphere in chapel is upbeat and students often have the opportunity to participate in games and lesson activities.Teachers, administrators, and church staff share in the chapel responsibilities. Parents are always welcome to join chapel and take part in this exciting experience. Each Wednesday all middle and high school students come together for a time of worship and word of encouragement. Worship is led by Faith Ministry College students as well as some of FCS’ high school students. The dynamic staff of Faith Student Ministries and the occasional guest speaker brings the word each week designed to challenge and encourage each student.